Pocono Coated Products is a leading global provider of customized converting and fulfillment services for flexible materials. Our team of industry professionals has the in-depth technical knowledge to support all phases of product development, from R&D through to design, prototyping, and material delivery. We offer distinct advantages in terms of quality, experience, level of service, and pricing, and our scalable services are able to meet any volume requirement. We have developed many unique solutions for customers worldwide. 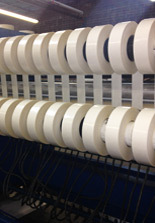 Inside our modern facility, we utilize computer-controlled precision-cutting equipment to die cut, sheet, slit, and print rolls of paper, film, or foil in widths from 3/8" to 60". By employing current Good Manufacturing Practices for the monitoring and control of our manufacturing processes, we are able to maintain an elevated level of quality and consistency. As a customer-focused organization, we are committed to helping you establish yourself in the marketplace, grow your company’s product portfolio, improve your production targets, and meet your specific business objectives. 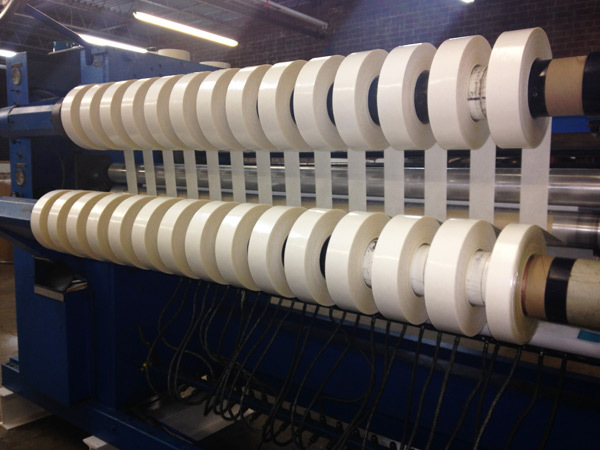 We also offer a range of additional support services such as rewinding, warehousing, skidding, and drop shipping. Contact us today to discuss the details of your next project.